Bin Hindi Car Care is the new identity of the Tyres, Batteries and Accessories Division (TBA) of A. A. Bin Hindi Group. 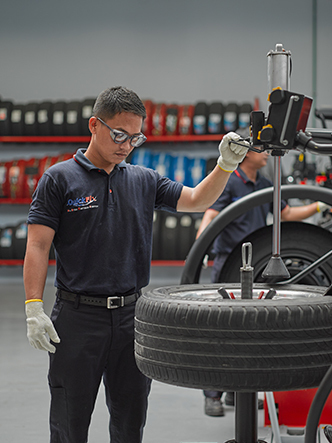 It was an imminent transformation in tune with our growth activities as well as the vision to set new benchmarks in the Car Care business in the Kingdom. 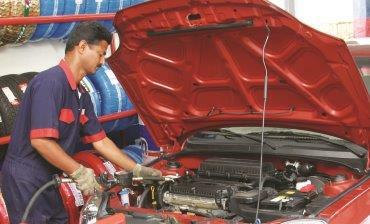 Bin Hindi Car Care has two distinct sub-divisions – Wholesale trading of Tyres, Batteries, Lubricants and Accessories to Ministries, Contracting Companies, Fleet operators and Dealer network and Retail selling of Products and Car Care Services through its state-of-the- art service facilities QUICKFIX and ENAYA. Bin Hindi Car Care offers a range of world renowned brands of Tyres, Batteries, Accessories, Lubricants and vehicle performance enhancing products such as Enoc Lubricants, Sumitomo Tires, Federal Tyres, JK Tyres, Zeta Tyres, BKT Tires, BG Products, Cofran Lubricants and Sebang Battery. Among other world-renowned after-sales brands, BHCC is the authorized distributors for BG Products. BG Products and services are being utilized in major authorized dealerships around the globe, such as GM, Ford, Chrysler, Jeep, Isuzu, Toyota, Honda, Nissan, KIA, Hyundai, Mazda, Mitsubishi, Subaru, Peugeot, Porsche, Audi, VW, Mercedes Benz, BMW, Jaguar and Land Rover. 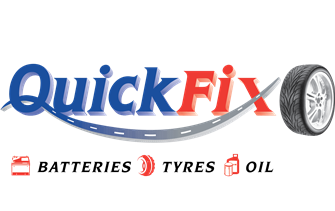 QuickFix commenced its operations in December, 2003. Since its inception, it has been untiringly working towards providing expert services and delivering perfection to ensure customer satisfaction. 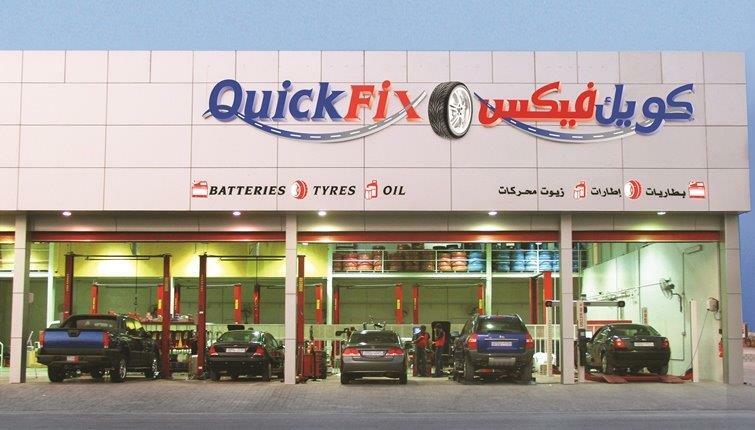 Today, QuickFix has 4 strategically located outlets in Bahrain with state-of-the-art equipment, fully computerised systems backed by a highly- skilled and well-qualiﬁed team of professionals. QuickFix caters to a wide spectrum of needs for vehicles like passenger car tyres, light commercial vehicles tyres, off the road tyres, truck & bus tyres and industrial & agricultural tyres. 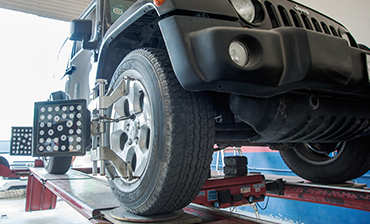 QuickFix also offers professional services in high-resolution digital video camera wheel alignment, vibration control, tyre changing, lubricant & battery services. ENAYA, the most one of a kind and state - of - the - art Car Care Centre, built over an expanse of 6000 sqm, located in Wadi Al Sail petrol station at Riffa, is a landmark project of the Company, which has no parallel in Bahrain. 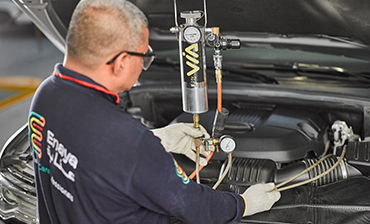 ENAYA has comprehensive automotive solutions for Car Wash, Lubricant services, minor mechanical repairs, AC Services, auto - detailing and Window Tinting. 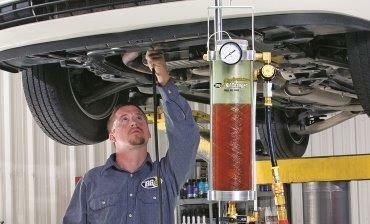 At Enaya, we offer our customers, world renowned car care products and services, which are designed to make vehicles last longer and perform better by eliminating and controlling deposits in engine crankcase, fuel & air induction system, transmission, power steering, cooling system, AC and brake system, giving you a new car feeling after every service. While your car is being serviced, Enaya ensures that all its customers spend a relaxing time in the luxurious lounge; doing some light reading or watching a movie playing on the giant LCD screens. The Lounge is loaded with amenities like wireless internet, a cafeteria, Men’s Salon, ladies waiting room and separate prayer rooms.